APPAREIL Architecture has designed a new café-boutique overflowing with colors! Pastel Rita is Montreal’s coolest place to drink coffee, have a meeting, buy some accessories and enjoy some creative pastel design, all at once. The space houses a café, artisans’ workshops, and a boutique space where local creations are showcased. 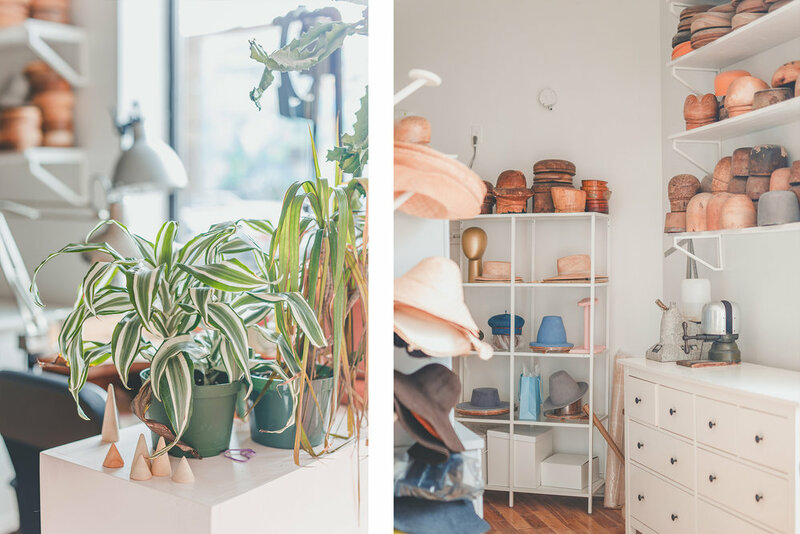 Located on St-Laurent boulevard, in the creative Mile-End neighbourhood, its large windows allow natural light to come in, while giving a preview of the displayed creations to people passing by. The main space of the café consists of a large central bar, surrounded by pink tables perfect for group meetings, and some large, arch-shaped openings, where handbags, hats and leather accessories are displaced on a pedestal. This convivial space seems to be taken straight out of another universe, as all its components are covered by beautiful pastel colors! Pastel Rita stands out through its welcoming and fun atmosphere, and it was named in honour of Rita, one of the owners’ grandmother. Its smart overlapping spaces allow customers to get an exclusive glimpse both at the creation workshop and the city outside, all while enjoying a delicious coffee. APPAREIL Atelier was founded by architect Kim Pariseau in 2017, with the conviction that there are no true boundaries between architecture and design. Believing in the symbiosis between these disciplines, the Montreal-based office focuses on designing unique spaces and objects that are bespoke for its clients’ needs. If you enjoyed this article, you should check our article about Non-Objective Tables from Aletier Avéus.